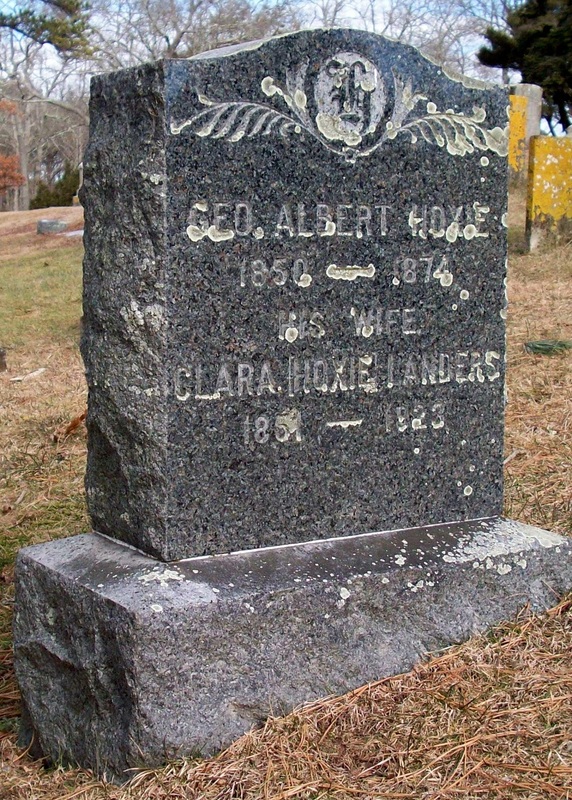 Born: January 31, 1851 in Pocasset Ma. 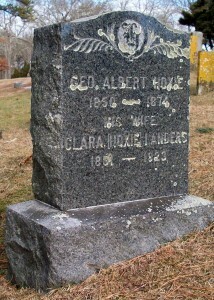 Died: April 13, 1923 in Falmouth Ma. at 72 yrs, 2 mos, 13 d.
To: David H. Landers; (1851 – 1909) (Joseph Landers & Mary D. Baker); David married (1) Achsah M. Hallett (1856 – 1881) (Freeman Hallett & Martha Howland Fisher) on February 1, 1877. 1. Albert/Bert Everett Landers; (March 1, 1888 – April 1966); Married Winona Mae Dunbar (1891 – 1981) (Alonzo Dunbar & Elizabeth Wheeler) in Brockton Ma. on April 26, 1915; They lived in North Falmouth Ma. ; Albert/Bert & Winona are buried in Cataumet Cemetery.